1. Right now I'm still on my Elcano trip, but what should I do after that ? A poll asking for a next op from someone named Triop... and it ends at only two options. I am disappoint. But I will help. It has to be fitting with the other two, of course. You have highest, and deepest... how about right in between? Challenge: find the stretch of (barely) dry land where you can drive the longest distance in a perfectly straight line while maintaining a constant altitude of 0m. Stock altimeter accuracy will be accepted. Become famous now. Say no to elevations and descents. Accept your inner ASL. Make that zero-point drive. 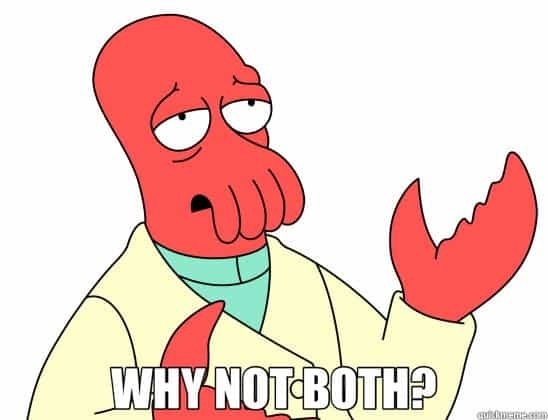 @Jacke Why not both ? Ok, let me rephrase it, which one first ? Go from the deepest to the highest in one drive. Then do it again on Eve. You know I'm allergic for everything above 70.000 km, right ? But I would revers it then, go from the highest point to the deepest. It does make sence somehow imo. 1. 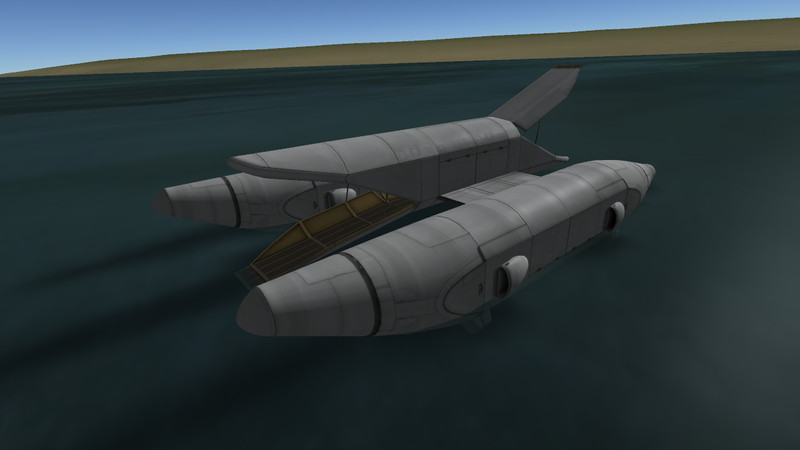 The deepest is closer to KSC. 2. 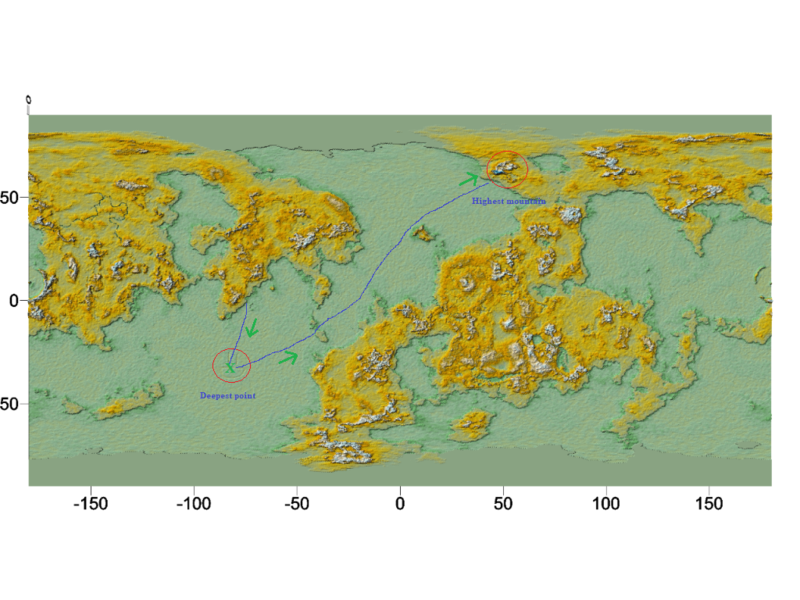 You're likely to be able to get to the deepest location and back out again, as I think the sea bed will not be steeply sloped, but at the highest, you may have terrain that will block you. And getting down might be risky. I'm planning on doing this James Cameron style: A diving bell attached to a KAS winch. It would be cool designing a boat that can do that. 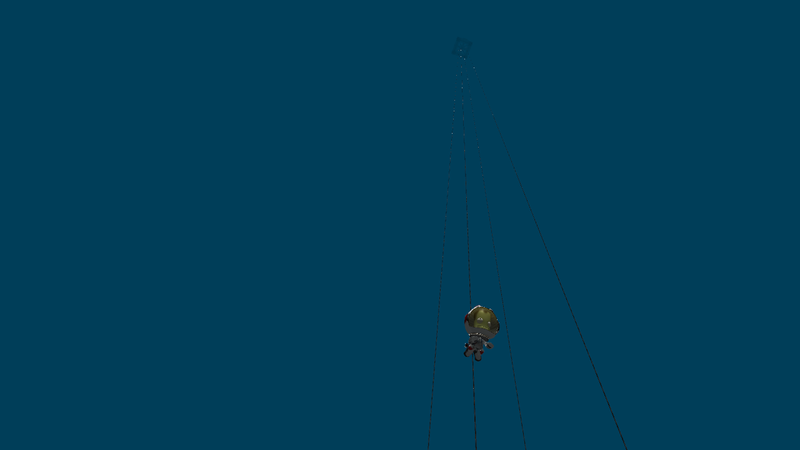 but at the highest, you may have terrain that will block you. And getting down might be risky. Yeah, I will need some serious power or a clever route to pull that off. Getting down will be suicide. . .
We ALREADY went to the deepest point! OK, OK, we got close. O wow, I forgot about that one. . .
No, oil rig! with hidden mini-sub! That is a whole other story called "The Ore Wars". But because drilling ore is so slow in the game it is not profitable. Some CFG moding could help building a global ore company drilling rich ore all over the planet. Hmmmm . . . . 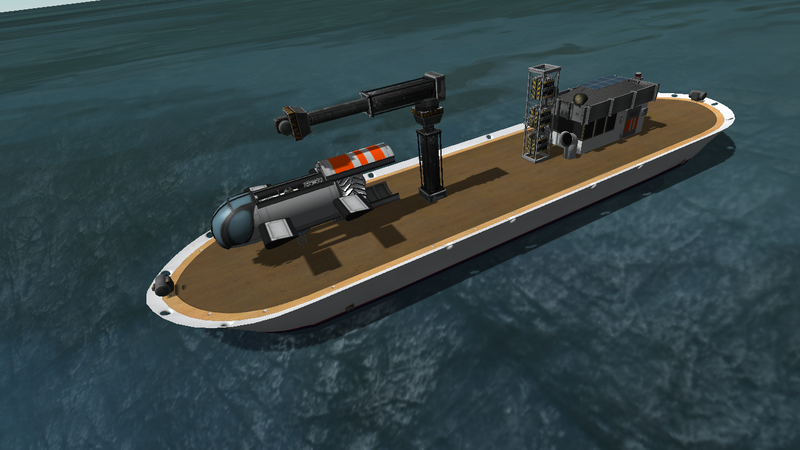 I could design a ship that has a rover and a sub and do them both in one mission . 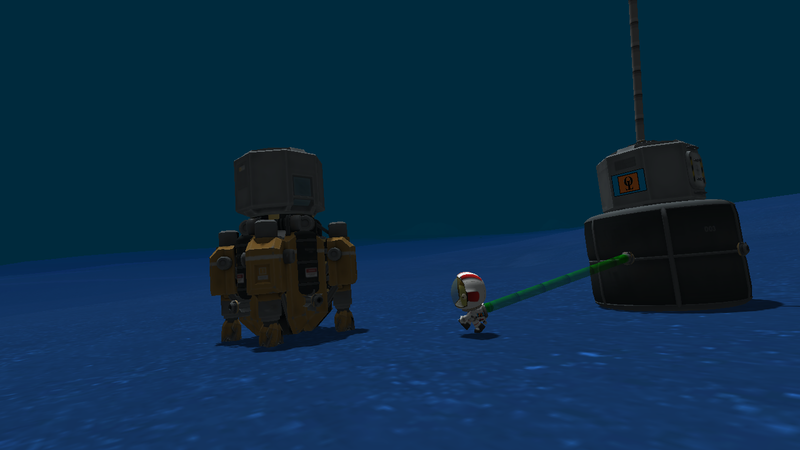 . .
@purpleivan is doing a awesome crazy mission with a ship with a rover, so why not ? Exactly! But cooler still would be taking out a negative buoyancy rover with water jets that goes along the bottom of the ocean until it comes up on shore near the highest mountain. Then it jettisons its underwater gear (or you drive it a few kilometres, same result) and goes for the summit. But cooler still would be taking out a negative buoyancy rover with water jets that goes along the bottom of the ocean until it comes up on shore near the highest mountain. 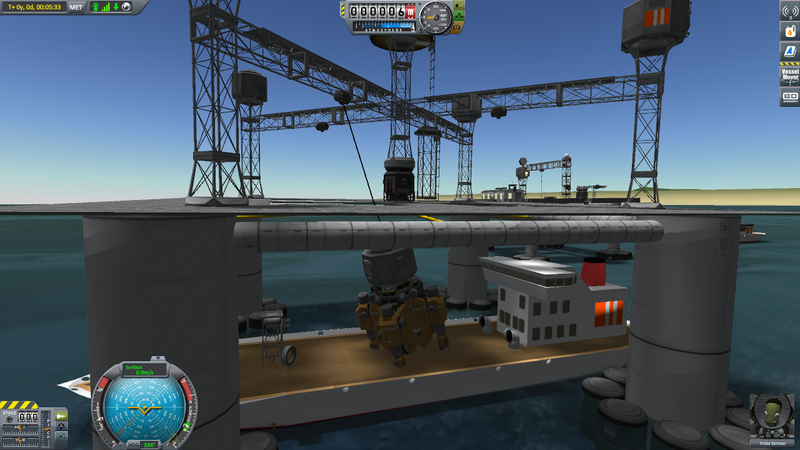 Then it jettisons its underwater gear (or you drive it a few kilometres, same result) and goes for the summit. As a Subnautica fan I am going to have to cast my vote for deepest point. I'm working on it, like my concept ? 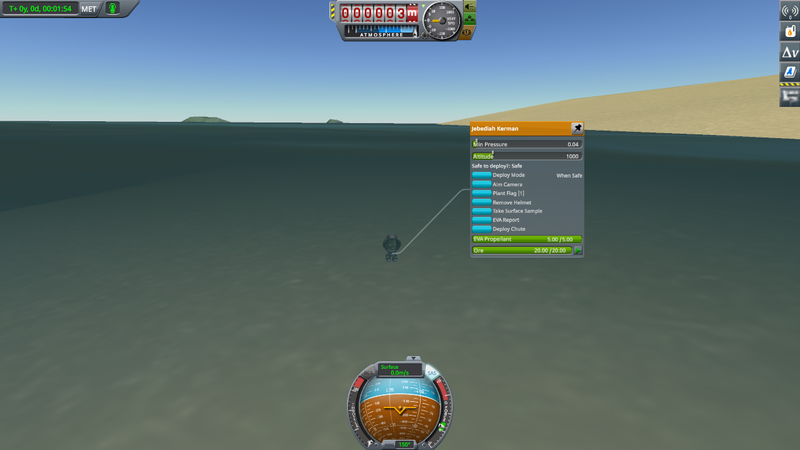 Hold on, how in the world is your kerbal walking underwater? Don't they normally just float to the surface? Hush. It was right after the holiday feeding frenzy, and Valentina is still touchy about the subject. "I edited the quicksave file. Found Jeb then scrolled to his resources. Replaced the "EVA Propellant" with "Ore" (Spelt those ways). Made the quantity 20 (8 made Jeb sink but very slowly)(20 was a good sink speed and he walks and run quite normally. Jumps a bit low me think). On the subsequent reload the game added the Eva Propellant back. I have been playing with the Ore while on the bottom. 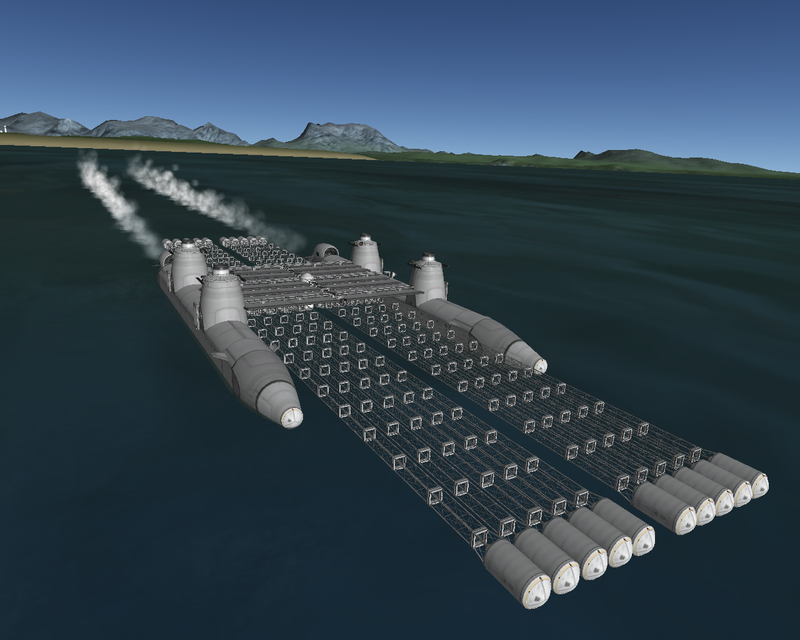 With 7.3 Jeb as a slight sink. When he jumps he can swim and eventually touches bottom. Or swim to an upslope and makes contact. The RCS fails and is stowed on it's own. " I found a easier way, a simple mod. Control makes you sink and shift makes you go up. Funny that you remember that Ore trick. I thought that was gone in the "Mists of times". 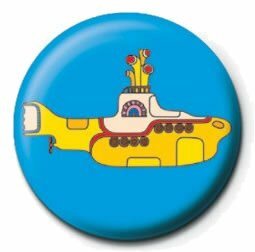 I was thinking recently about that as I have been looking for something to do and was entertaining the idea of making subs again. 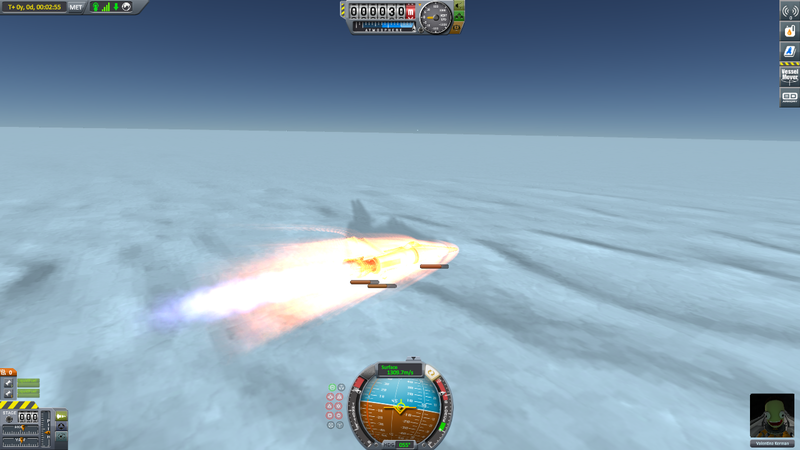 And learn how to edit textures in KSP. That or learn to use kOS. So little time. So much to know. If you installed KIS you could carry ballast in the Kerbals own inventory. Why not KIS building a base on the ocean floor? Building a base there is a good idea, I like it. 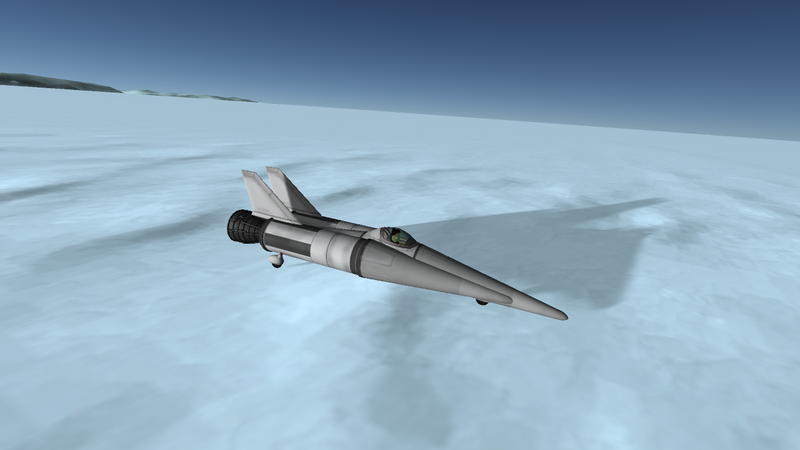 I agree that KIS (and KAS) should be stock, indeed I'm not a fan of mods, but as long as they don't interfere with my flying or driving gameplay I make some exceptions.